Thank you! We will get in touch with you as soon as possible. Please visit www.FMD.green/book to book an appointment now. Your initial visit with the doctor is over the phone. If you do not qualify for a medical Recommendation, we will refund your appointment. Most patients have to wait 3 months before the doctor can legally recommend medical marijuana in the state of Florida. Watch June 2018 Medical Cannabis: A Conversation with a Cannabis Doctor, a Gainesville Sun project. Read an August 2017 article published by the Gainesville Sun, entitled Local medical marijuana business slowly heats up, featuring Dr. Justin Davis. Read a September 2016 article published by WUFT.org, entitled Pot ‘Works Effectively As A Medicine,’ Says Gainesville’s First Marijuana Doc, that interviews Dr. Davis. Read a January 2016 Gainesville Sun article that mentions Dr. Justin Davis, entitled Farm grows first of Alachua County's medical cannabis. 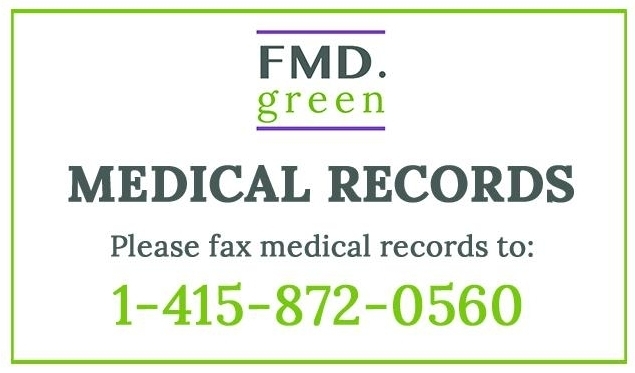 Florida Marijuana Doctors, or FMD.green, is Florida's first alternative medicine practice that specializes in conditions that can be successfully treated with marijuana / cannabis, as permitted and regulated by Florida Law. Our doctors also offer California marijuana / cannabis Recommendations in one Video Visit for qualifying patients from anywhere in the world. Many global destinations now recognize MMJ Recommendations from elsewhere. We are a family-run practice located in the beautiful and diverse Gainesville, Florida. Dr. Davis sees patients in offices in NW and SW Gainesville, Lake City, and the Villages / Lady Lake, located off U.S. 441. The Florida Department of Health mandates that the recommending physician perform an in-person evaluation on the patient every 7 month. We also treat patients from around the world through our California MMJ Recommendations. Our practice believes in the medicinal value of the marijuana plant, and that a marijuana recommendation should be available to those who would benefit by its medicinal use, and choose to do so under the care of a licensed and authorized physician, as authorized by the State of Florida and interpreted by current medical practice. JUSTIN DAVIS, M.D., or Doc Davis, is a native Floridian and a pioneer in integrative and alternative medicine delivery, as well as a forerunner in the resurgence of housecalls and boutique medicine. He is a board-certified physician in Florida and California and an authorized medical marijuana recommending doctor for patients in both states. His former practice, The House Doctor, was one of San Francisco's top-rated primary and urgent-care providers for over ten years before he moved back to Florida to be closer to family. Dr. Davis received his M.D. from the University of Florida and completed his Family Practice residency in Allentown, Pennsylvania, at Lehigh Valley Family Practice. As a child, Dr. Davis already knew that he wanted to be a doctor. His passion for healing evolved from growing up among nature and animals in rural Florida. There he learned from a young age that keeping living things healthy requires extensive preventative care and a holistic approach to body, soul, and environment. While classically trained in all the clinical and technological advances of modern medicine, Dr. Davis also has a deep appreciation of cultural anthropology, and the natural sciences, all of which he integrates into his medical philosophy. He has also lived, studied, and traveled abroad extensively. Dr. Davis studied yoga and meditation in Bangalore, India, and later traveled solo through India for six months volunteering his medical expertise across a stretch of 500 miles from Rajasthan to Gujarat. On this adventure, his only mode of transportation was a camel that he bought and trained himself. Dr. Davis also lived for one year in Beijing, China, where he studied and practiced the principles of Traditional Chinese Medicine and Acupuncture through the World Health Organization.